Just what Shanghai needs is yet another Italian inspired restaurant to add to the list of ever-growing cookie cutter establishments, for those that don’t know or who have not heard of Zizzi, they are a chain of restaurants offering dishes inspired by Italian cuisine in the United Kingdom and the Republic of Ireland, perhaps I have been out of the UK for far too long, as I had never heard of them before stumbling upon them at TaiKoo Hui this past weekend. There are three levels to the venue, the ground floor, a sort of mezzanine level, and the upper floor which is where the kitchen is located, and out on to the corridor leading to the communal shopping mall toilets adjacent to Starbucks roastery. We opted for the ground floor dining area along the window under the fake trees, and shrubbery, we were presented the menus by Bella, and a couple of glasses of warm water? To start with, ordered a glass of Prosecco and a glass Italian Sauvignon Blanc, both non-descript, but pleasant enough. Looking through the very colourful and corporate style menu, which is no doubt pricey to produce, we were impressed with the mouth-watering descriptions, sadly not to flow through to the dishes that were actually served. 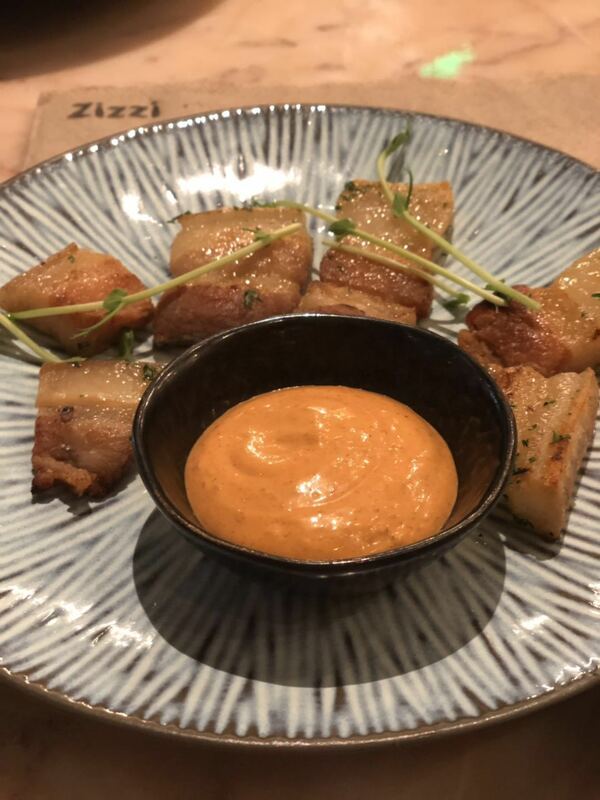 Pork Belly Bites – Crispy pork belly bites served with spicy harissa mayonnaise dip, the sauce was fine, the pork belly bites were deep fried and hardly, if at all had any meat on them, overcooked and dry, once you removed the fat, they were more like pork scratchings. Certainly not value for money. 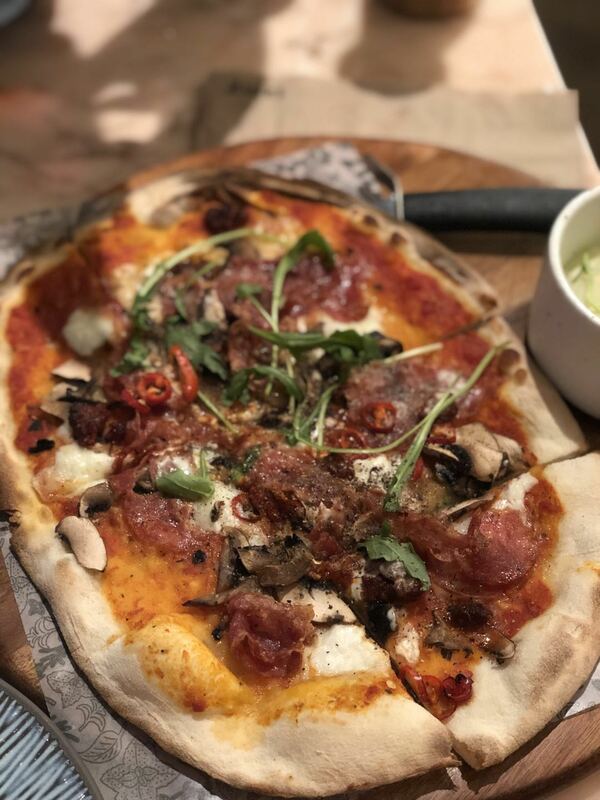 Pizzetta Piccante – a Zizzi recommended dish and to be fair, the best dish, thin crust style pizza, along with the toppings. 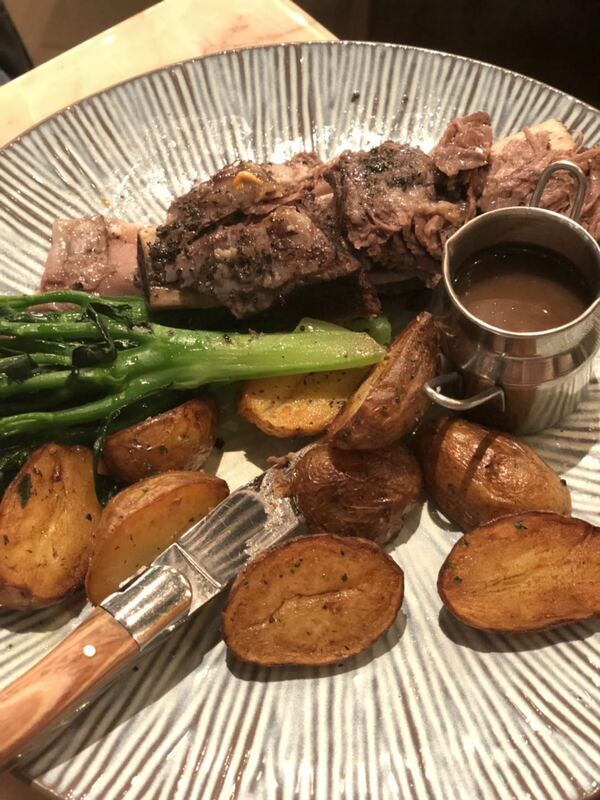 Chianti Short Rib – a Zizzi recommended dish, on this occasion served tepidly, and presented with a faux Laguiole style steak knife? Certainly not value for money. 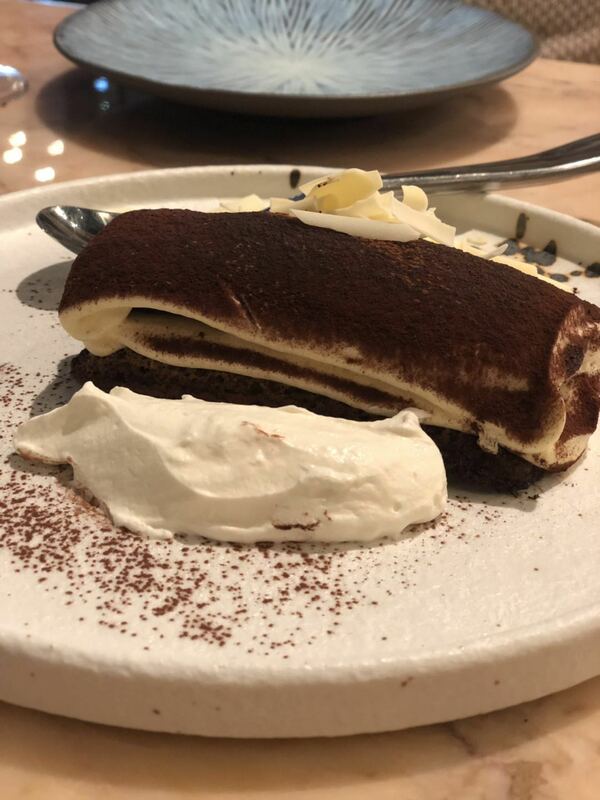 To end with a Tiramisu, after all, a classic Italian dessert, unsure of the splodge of whipped coconut cream that accompanied the dish though. The service from Bella throughout was fine, damages for the evening 636RMB for two pax. Oh, and speaking of feet, watch your step when exiting the restaurant, as the bottom step is not level, and with the recent rains, the step is rather slippery, an accident waiting to happen.